The Acue Storm 1500 RGB is the start of a new generation of strobe lights. 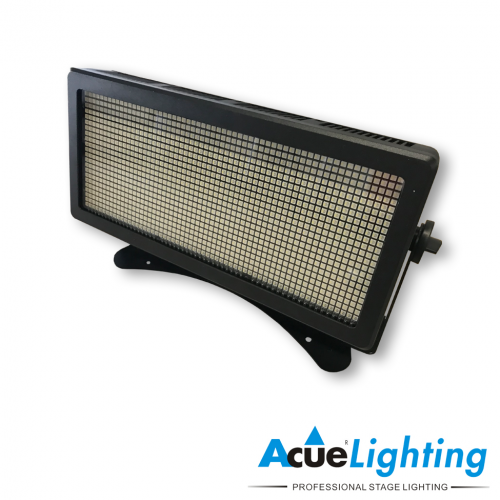 Our new series of LED strobes have the ability to be more than just a strobe. The fixture is powered by 968 pieaces of 0.6W RGB LEDs. 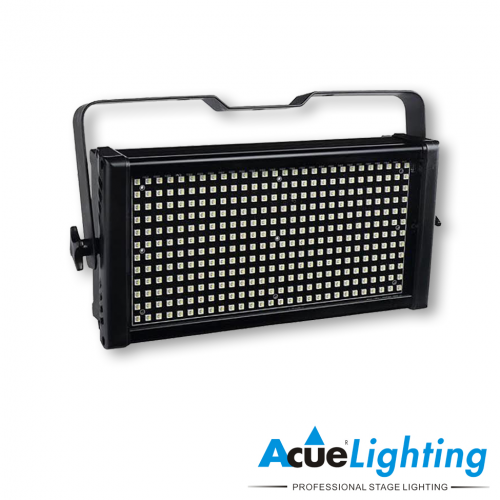 The array design of the LEDs outputs a powerful flash of light when used as a strobe and can also be used as a powerful wash fixture with full RGB controls. The Storm 1500 also has section control to create amazing “eye candy” pixel effects. 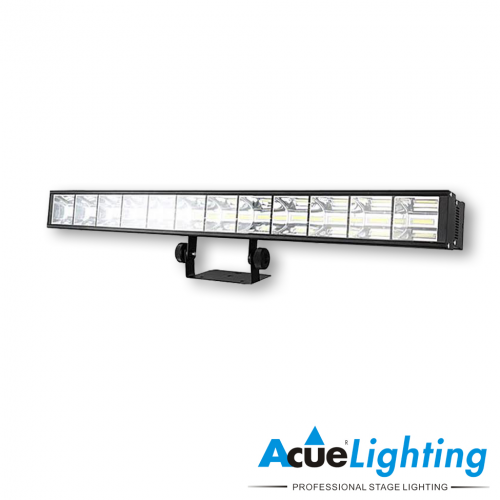 The unit has built in DMX controls as well as on board controls through the display. 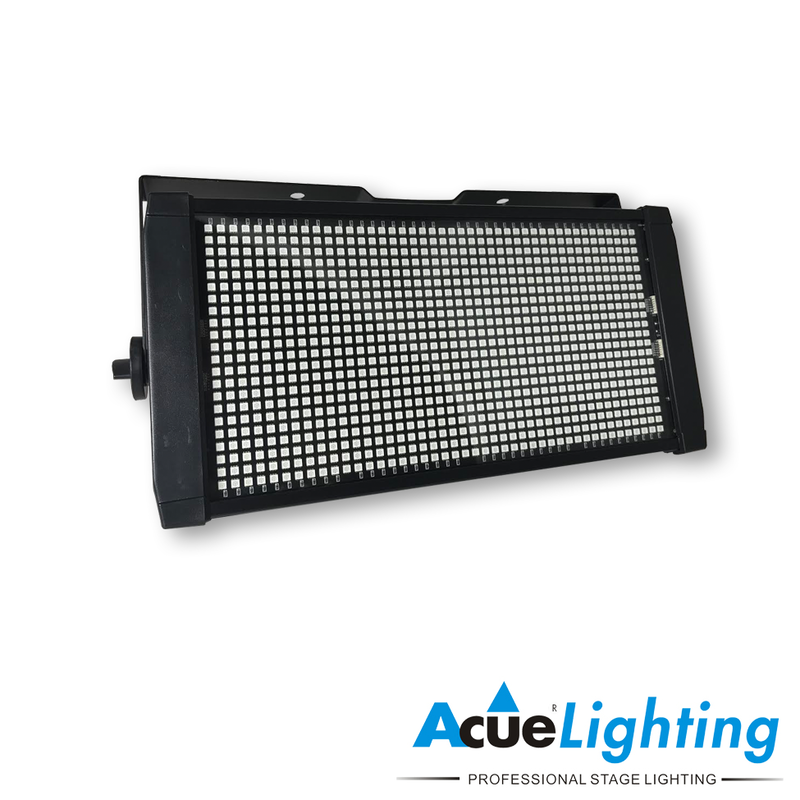 Both controls allow you to choose a specific color, effect, flash speed, timing, and brightness of the LEDs. 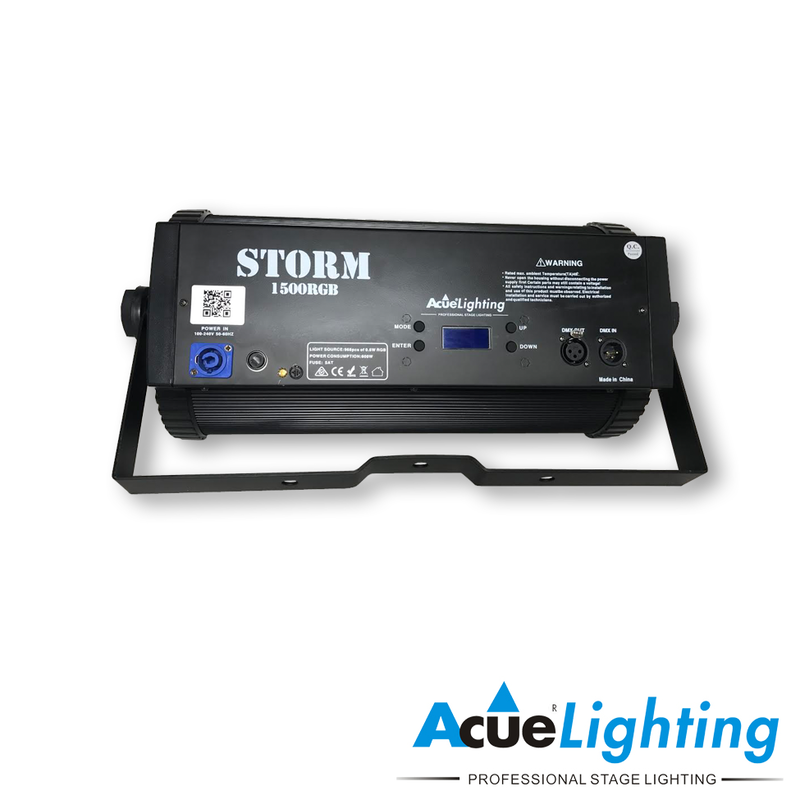 The Acue Storm 1500 RGB is a multi-purpose fixture perfect for permanent installations and mobile production use.